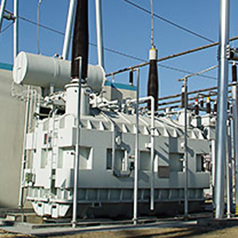 GE’s comprehensive suite of power transformers support a wide range of voltage levels with applications in generation, transmission and distribution. 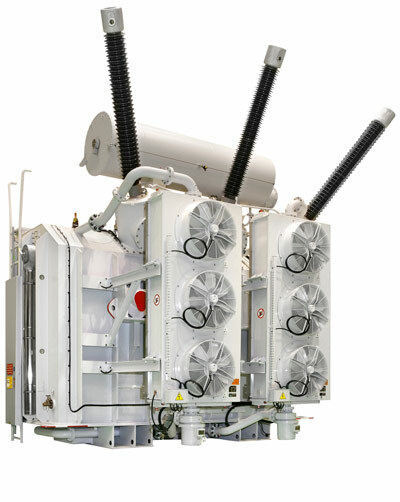 GE offers s wide variety of power transformers from medium to ultra-high voltage (1200kV AC and ±1100kV DC) and from small (5 MVA) to very large power ratings (2750 MVA). Our product lines include conventional, special transmission such as phase-shifting, SVC, HVDC, low maintenance and reactors, as well as green power transformers. 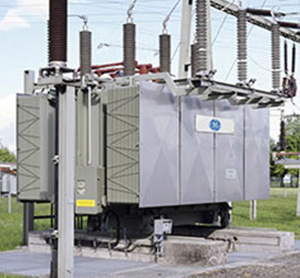 GE’s power transformers provide exceptional performance, quality and reliability with digitized protection and monitoring schemes and advanced design and testing capabilities. GE’s large, medium and small power transformers include equipment and solutions tailored to meet global customer’s needs. GE utilizes the latest in design, measurement and testing tools to ensure each transformer meets and exceeds the latest industry standards, as well as operational and customer specifications. Our design software includes sophisticated, in-house scientific calculation tools to perform advanced transformer analytics. 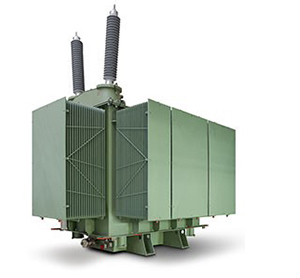 The power transformer design optimization, verification and analytical software supports consistent fulfilment of all specified requirements and efficiencies greater than required by 2020 EC Energy Directive, EN 50629 and EN 50588-1. Examples of high efficiency are found in optimized transformer cooling, low air forced cooler noise, advanced core design techniques that reduce no-load loss and no-load noise, and accurate design verification tools. Prolec GE taps into state-of-the-art technology and deep domain expertise in insulation structures, thermal requirements and magnetic field distribution applications, to provide power transformers with exceptional performance, quality and reliability. As high voltage network systems are connected with each other at several points, the necessity of controlling the flow of energy increases. Classical voltage regulation without phase shifting is no longer sufficient for these situations. GE’s phase-shifting transformers, rated up to 2750 MVA, are available as single core units with independent phase angle and voltage regulation, and as dual core for higher power and voltages. Quadrature boosters provide an economical solution when limited phase-shifting angles are required with voltage variations. 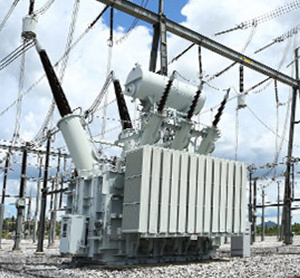 GE offers a wide range of dedicated High Voltage Direct Current (HVDC) systems that enable efficient and reliable transmission of energy over long distances and interconnect networks with different characteristics and frequencies. GE is an expert in the design and manufacture of HVDC converter transformers with sophisticated insulation and thermal structure. 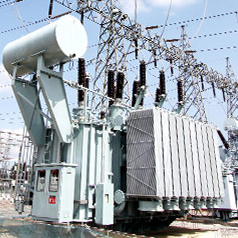 Ratings include 500 MVA and voltage levels up to 800 kV. 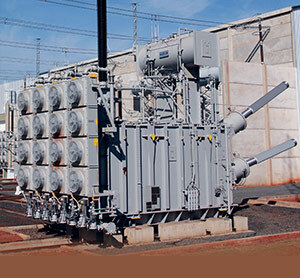 For other XD|GE HVDC converter transformers, learn more here. GE’s Static Var Compensator (SVC) systems can help grid operators to gain accurate control of reactive network power, maximize power transfer capability, improve steady-state and dynamic stability within the grid. GE’s SVC power transformers are custom designed and built to handle harmonic loading and a wide voltage variation. These can be configured as three phase units or a bank of single phase units. 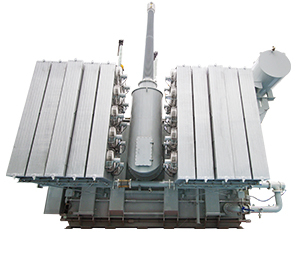 The function of the power transformers is to connect the medium voltage equipment to the high voltage transmission grid. 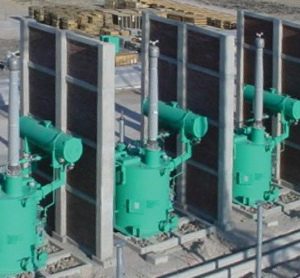 GE’s industrial specialized transformers portfolio includes a wide range of rectifier transformers for the electrolysis process of metal or chemical industries, as well as AC or DC Electrical Arc Furnace (EAF) transformers. With expertise in products up to the highest ratings in the world, GE’s references include rectifier transformer combinations above 80 kA DC current ratings and EAF transformers up to 300 MVA. Hermetically sealed power transformers without oil conservator are GE’s field-proven answer to today’s needs. Thanks to the innovative design of the radiators, the oil expansion vessel is not needed and thus the oil is prevented from coming into contact with ambient humidity. Service life is also increased with the use of a vacuum-switch on-load tap-changer (OLTC) that eliminates contact erosion. With minimal oil and OLTC aging rate, the Hermetik does not require any particular maintenance or work over its service life, speeding up the return on your investment. GE’s environmental-friendly, long-life, maintenance-free reactors enhance system performance and power quality from transmission and distribution to industrials, improving network operational efficiency. This results in considerable savings for customers and reduces the environmental impact of their operations. For more information, visit our reactors product page. 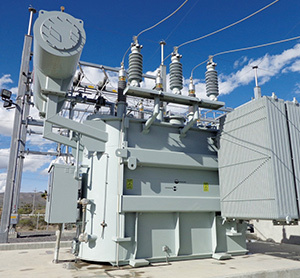 GE has developed a wide offering of green solutions for power transformers ranging from 10 to 500 MVA and ratings up to 550 kV. Our environmentally-friendly solutions are aimed at meeting the major energy challenges of today and tomorrow: energy efficiency, market efficiency, grid reliability, enhanced overload capability, low loss, low noise and environmental concerns. 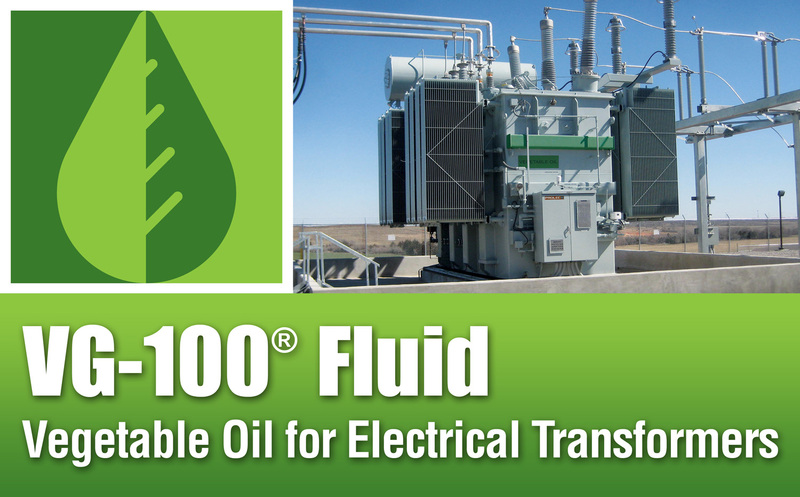 VG-100® is a biodegradable dielectric fluid developed by Prolec GE, with patents granted for its application in electrical transformers. VG-100 has been satisfactorily used in more than 500 units since its introduction in 2009, and is an excellent alternative to mineral oil for use in new transformers and retrofill applications. GE manufacturing plants are highly automated digital factories that use the GE Predix platform for machine learning and modeling. 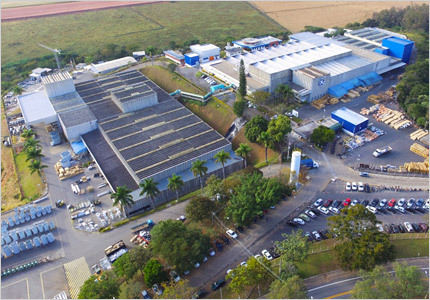 Our Itajubá factory supplies a broad range of engineered equipment for all segments and commercial regions, by means of state-of-the-art machinery and design criteria, first class raw material, strict production and quality controls, and very experienced staff. Our factory in Tampere was built in 1983 and is home to the Nokian capacitors brand. Tampere has more than 30 years factory-based experience making high and low voltage capacitors and air core reactors. In 2005, a new reactor factory was added to provide components and complete solutions for all PFC and filtering problems. Tampere has further improved its processes with recently renewed IT systems. 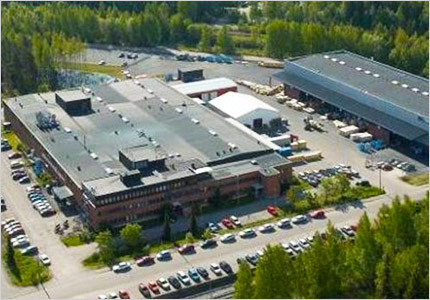 Our Tampere factory is ISO 9001, ISO 14001 and OHSAS 18001 certified. 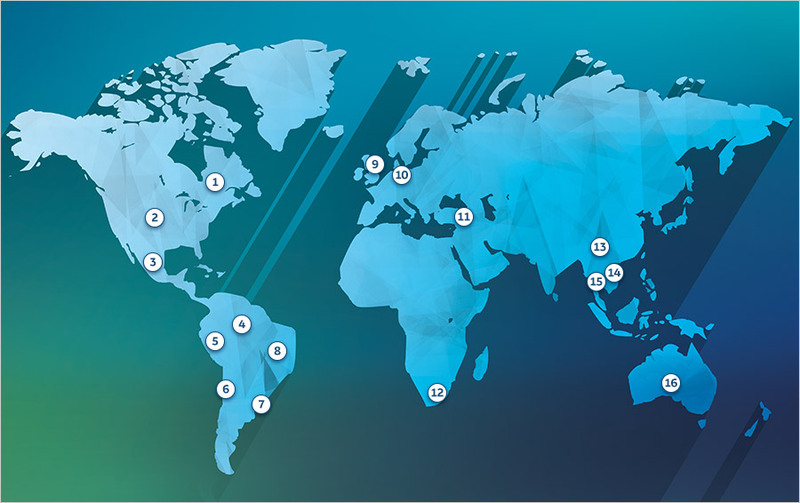 For more than 50 years, GE has provided global support and advanced technologies to +1,000 customers in 80 countries, offering a broad range of reactors for many market segments. GE is an industry leader in design and manufacturing process with compliance in international technical and certification standards. Below are a select representation of our projects, a complete reference list is available upon request.